1st- "The Kind"- because of Primo's kindness and the relations 1st gen made with other mafia families. 3rd- "The Push"- because this gen pushed us into a more dark family. 4th- "The Dark"- because this gen succeeded in nothing and Vongola started to be called evil during that time. 5th- "The Royal"- because of the 5th gen's strength and choice of clothes. 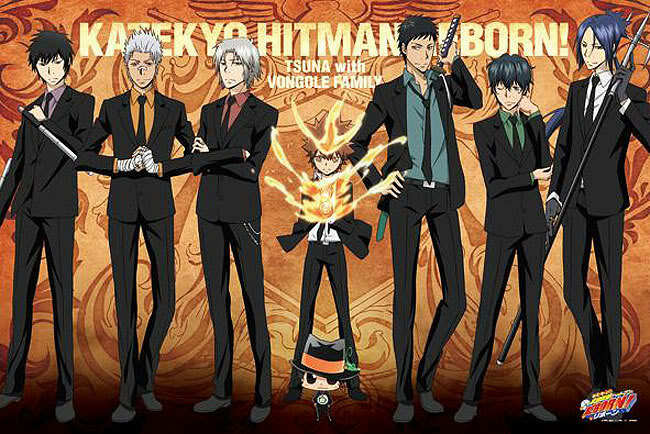 6th- "The Humble"- because sesto was a humble man and this was a better gen for the vongola but sesto was steal weak. 9th- "The Back"- because it was the generation that helped "lift" the tenth up and fix the Vongola. 10th- "The Revival"- because of the revival of teh GOOD Vongola Family.